Cool! We also thought the top one was a unicorn! Fantastic! 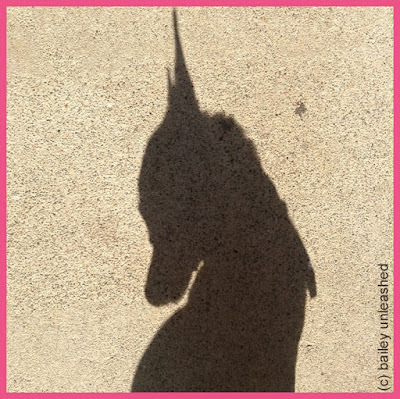 Yes, looks like a unicorn. 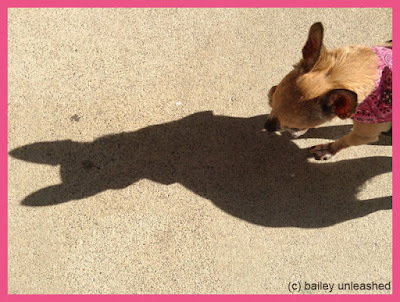 Did you read about the little girl who was afraid of her shadow? Guess she never noticed it before and could not believe it was following her everywhere she went and just cried and cried. Wow, that first one is scary! Nice capture! Nice shots! Love the shape of Bailey's head in the shadow.